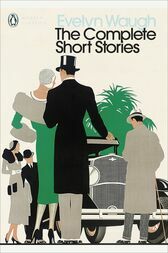 In this unique collection of short stories composed between 1910-62, Evelyn Waugh's early juvenilia are brought together with later pieces, some of which became the inspirations for his novels. 'Mr Loveday's Little Outing' is a blackly comic tale of a mental asylum and its favourite resident; 'Cruise' sees a hilarious series of letters from a naïve young woman as she travels with her family; 'A House of Gentlefolks' observes a group of elderly eccentric aristocrats and their young heir; and in 'The Sympathetic Passenger' a radio-loathing retiree picks up exactly the wrong hitchhiker. These witty and immaculately crafted stories display the finest writing of a master of satire and comic twists.